Savor the Season is a new column from Burger-A-Day where writers discuss seasonal favorites. Today, we’re starting simple with 2018 edition of Starbucks’ seasonal staple: the Pumpkin Spice Latte. 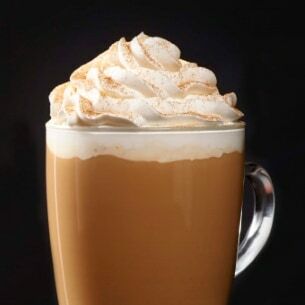 Pumpkin Spice Lattes used to feel like a treat or a happy accident. You’d wander into a Starbucks, see the ads, and think “Oh! That sounds nice!” Now Pumpkin Spice Lattes are expected and seen as an indication of the start of Autumn, even if it’s still 90 degrees out. Pumpkin-flavoring is as ubiquitous with a time of year as when stores start playing Christmas songs. It’s as iconic as the polar bear on a Coca Cola bottle, which has come with an equal amount of backlash. Still, how is it? Allegedly, Starbucks hasn’t changed their formula since 2015, when it began to add real pumpkins, but it’s tasted different every year, at least to me. I’m someone who makes a point to get a PSL and I can’t figure out why it seems to change from season to season. Ordering a Pumpkin Spice Latte today has been irksome, because I ordered one as is. It was probably my third or fourth since the chain began serving them at the end of last month, but this one I didn’t request any modifications. The first few I had, I could justify the change. I’d asked for skim, no whip, light whip, iced, etc. This time, I punched in PSL and didn’t swap anything on my mobile order. What’s most irksome in writing about this year’s PSL is that it didn’t taste the same as years past, but I can’t pin a certain difference to it. There weren’t new flavors or better flavors. It tasted different from the other PSL’s I’ve had this year, but not different from years past. That being said, it tasted exponentially different. Maybe my taste buds are changing, but there felt like differences that were both for better and for worse. The PSL was fine. It tasted like the cinnamon-flavored Autumn acoustic playlist you put on to keep you warm. It would be perfect to take on an apple-picking adventure in early October. The most marked improvement was that this year was the first time I feel like a PSL didn’t make my mouth completely dry after. The hot post-dry mouth is usually the biggest turn off from a PSL, especially since I was once a hot-PSL purist. The one thing the elimination of dry mouth couldn’t make up for. The drink tasted plastic. It tasted as it should have, but it also tasted manufactured in the way a McDouble does. It’s great and satisfying, but it doesn’t feel important. Not that Starbucks was ever anything but a giant corporation, but this really felt like buying a product, rather than a seasonal treat. It’s just a sullen reminder that even though Starbucks doesn’t have the same Super Size Me legacy that a fast food chain like McDonalds might: you’re still just eating fast food, even if it’s a Pumpkin Spice Latte.